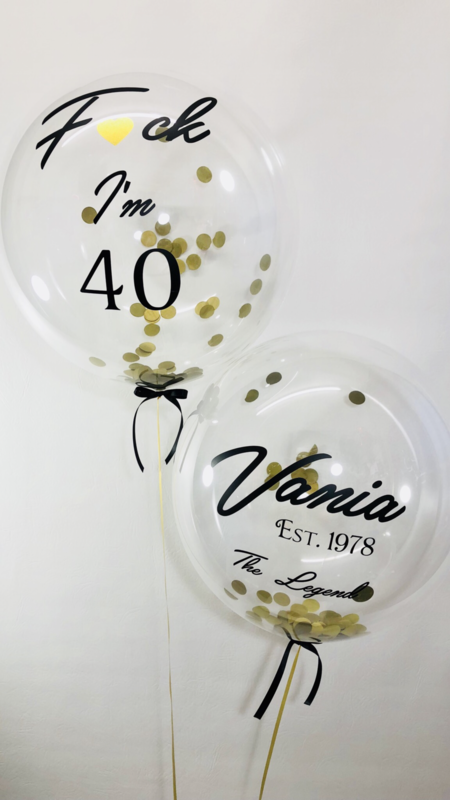 A fabulous addition to any celebration that will last for days. Confetti Bubbles can contain confetti in any colour of your choice or even feathers. 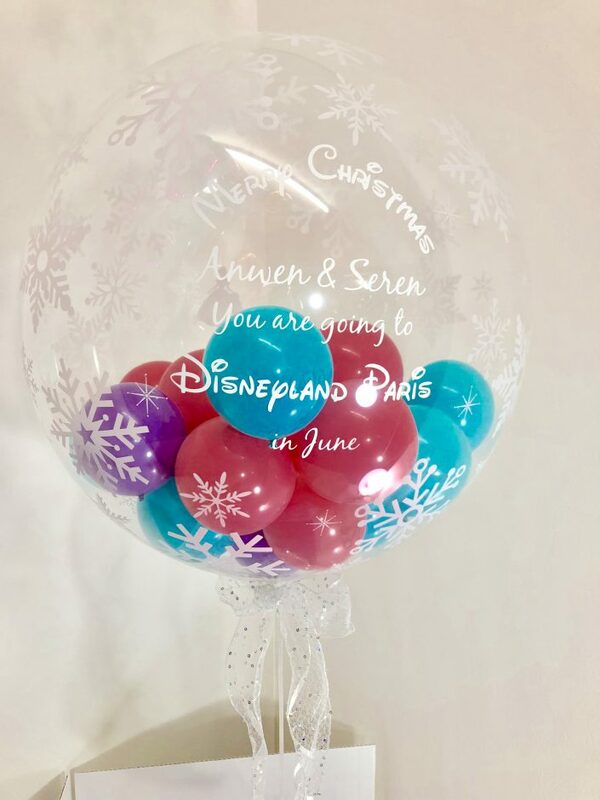 Choose any bubble, plain or printed. 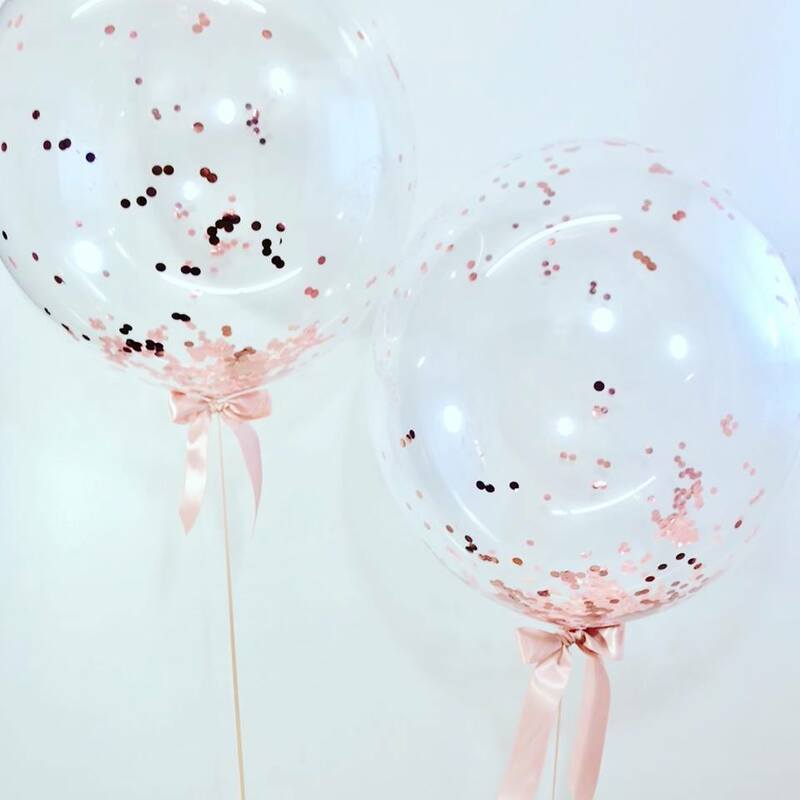 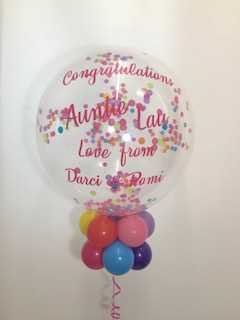 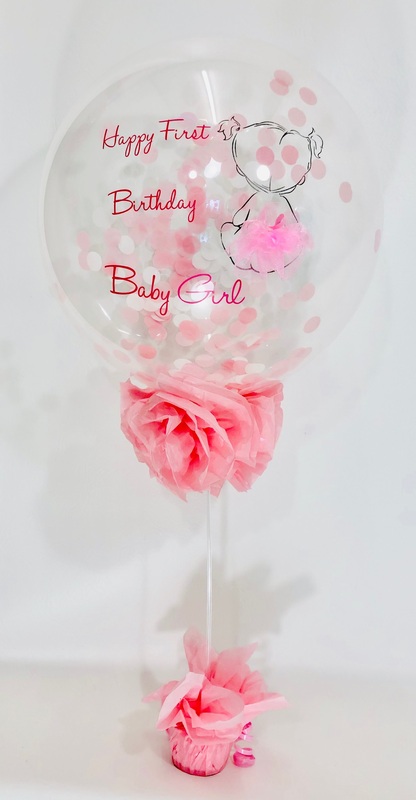 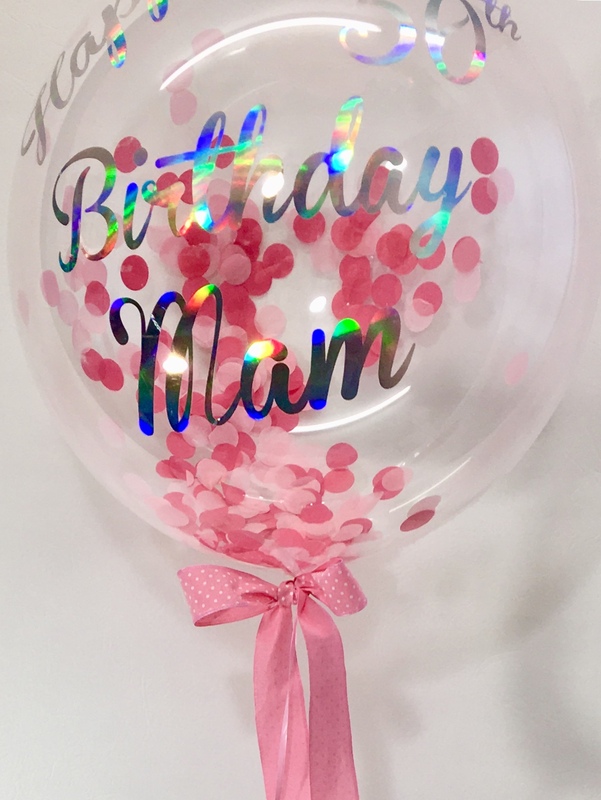 Your Confetti Bubble balloons will be personalised with a message of your choice, and can be decorated with ribbons, tulle, garland strings. 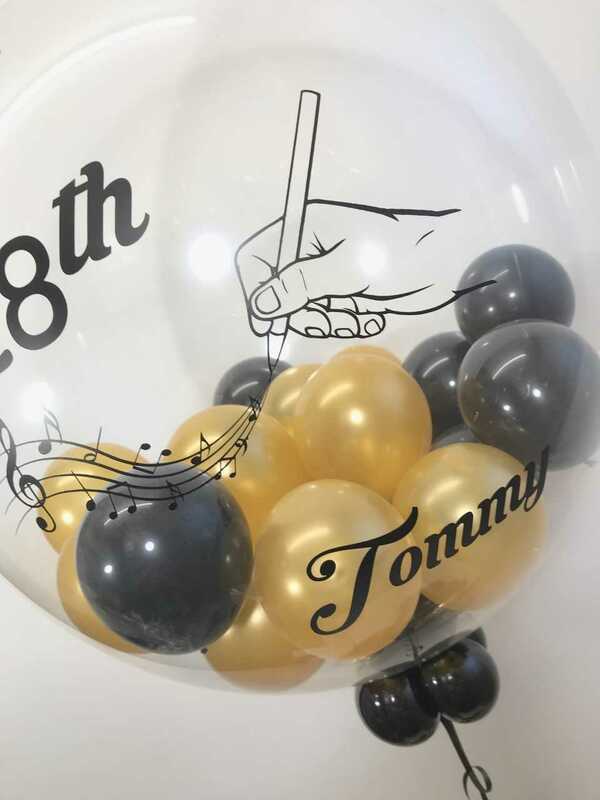 Tell us if there is a specific decoration you like.